Jedi Mouseketeer: Disney Characters Perform Pop Tunes with a Twist with “Disney Live! 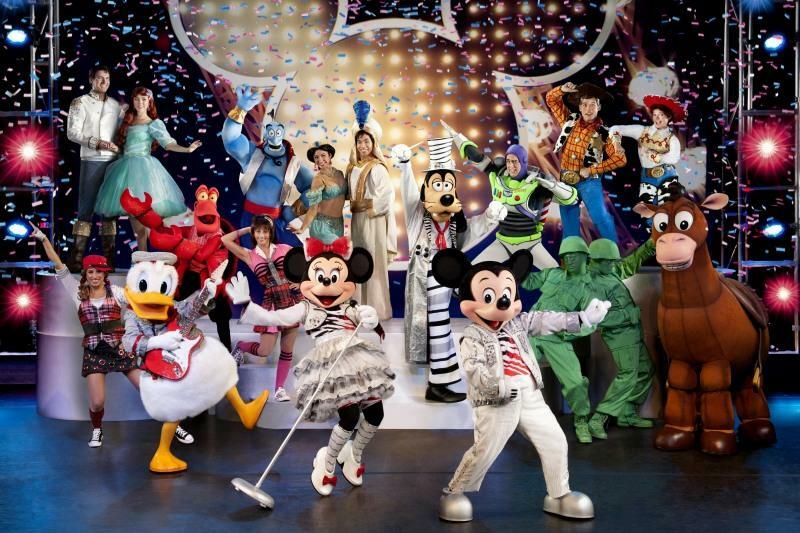 - Mickey's Music Festival"
Disney Characters Perform Pop Tunes with a Twist with “Disney Live! - Mickey's Music Festival"
From Albany, NY Think you’ve seen it all where the world of Disney characters is concerned? Think again. Bet you’ve never witnessed some of your favorites like Donald Duck, Minnie Mouse, Goofy and, of course, Mickey, shimmying around the stage to tunes by Aerosmith and Beyonce. “Disney Live! Mickey’s Music Festival” rolls into town Friday for performances at 4 and 7 p.m. at The Palace Theater. Dianna Castronuovo, one of the show’s ensemble dancers, said audiences of all ages will enjoy seeing greatest hits from the blockbuster movies, “Aladdin,” “The Little Mermaid” and Disney/Pixar’s “Toy Story,” remixed to rock, pop, reggae, hip-hop, jazz and country. The show begins with audiences watching a state-of-the-art video of the frenzy backstage which spills onto the stage as Mickey welcomes guests to his concert tour. The audience is then transported to a new world of hip hop beats, thrilling acrobatics, flying carpets and magical transformations with Aladdin, Jasmine and Genie. Underwater is where the crowd will meet up with Ariel, Sebastian and their nautical pals to groove to reggae rhythms. Then the audience can stomp to the beat, as Woody, Buzz and Jessie teach them how to boogie rodeo-style. Castronuovo said that anyone can be a member of the band as giant balloons fall from the ceiling in one scene, and then, in the next, Disney characters are dancing in the aisles.